Today, we are going to review the top 10 MLM Coffee Companies. Have you had your cup of coffee today? Personally, I consider myself a coffee connoisseur. After all, I live in a country that has produced some of the greatest coffee in the world. But after Hurricane Maria, the production has dropped substantially. And, most of the coffee grown in Puerto Rico stays in Puerto Rico. It may be difficult to obtain some excellent Puerto Rican coffee, but there are other great coffees as well. Some entrepreneurs have monetized this demand and created MLM Coffee Companies. Using online and off-line reviews, sales figures and my own thoughts, I am going to share what I believe to be the top 10 MLM Coffee Companies. I will start at #10 and work up to the best… The #1 MLM Coffee Company. Scroll down this page and see if you agree with my rankings. If by chance you would like to try any of the coffees or start your own coffee home based MLM business, the company links will be in the reference section at the end. Legend has it that 9th century goat herders noticed the effect caffeine had on their goats, who appeared to “dance” after eating coffee berries. So a monk made a drink with them and coffee was discovered. Coffee beans are actually the pit of a berry, which makes them a fruit. The Average American Spends More Than $1000 On Coffee Each Year. Java Momma was launched in October of 2017 and is headquartered in Danville, Pennsylvania. The founders are Brian and Melissa Shoop and Adriona Spring. I am finding rave reviews about this new coffee MLM company. The coffees and teas are mixed of USDA certified organic, FairTrade certified and Kosher certified. The selection is amazing and from what I understand, independent representatives are happy with the Java Momma compensation plan. I look for strong growth from this new MLM company. DXN is a Malaysian based MLM company that was founded back in 1993 by Dr. Lim Siow Jin. The company has made huge strides in sales and their reputation is remarkable. DXN cultivates, processes and markets products using Ganoderma and Lingzhi mushrooms. And coffee is one of the huge sellers. DXN also has many other products. Here is another MLM company that had its start in Malaysia but has now reached out to all corners of the world. Also using the Ganoderma mushroom, Gano Excel manufactures and sells a huge range of coffees among other products. Gano Excel was founded by Leow Soon Seng and they continue to grow. With a unique approach in merging MLM, retail and franchise, Rick Aguiluz created Healthy Coffee International. Using Ginseng infused with the Reishi Mushroom, many people love the Healthy Coffee brand, EnerGi. Healthy Coffee is making its mark in MLM and on the world as a whole. In 2008, Bernardo Chua and Shane Morand founded Organo Gold, establishing headquarters in British Columbia, Canada. Like others, Organo Gold utilizes the Ganoderma mushroom to add a healthy aspect to its coffee. But as you can plainly see, many competitors came along forcing Organo Gold to add other products to its line. Organo Gold only operates in the United States and Canada. This company founded by Ted Fitzgerald is dead set on helping the human race live extremely healthy lives. And coffee has been a part of their products. The coffees are infused with Ganoderma, Ginseng and Tongkat Ali. Now HHG does have their fair share of haters, but when you have a great list of products and a successful MLM operation, haters do seem to come out attacking. Dave Jordan founded Valentus with the idea of using high antioxidants inside everyday drinks that create energy… So naturally, coffee is included. And they come in single serving packets making it easy to choose your favorite Valentus drink anytime, anywhere. By the way, Valentus is Latin for Prevail! With a high Spanish-speaking customer and representative base, Ganolife International started in 2012 in Peru. I know that the Latino community loves coffee and Ganolife International is accepted greatly since it has premium coffee infused with Ganoderma. Stanley J. Cherelstein founded Javita in 2011. The company markets its coffee as coffee evolved. Using the best South American beans with a proprietary blend of herbs and other natural ingredients, Javita has been growing in a ferocious way. And now Javita has the Dollar Coffee Club… They just may hit #1 on the next list. 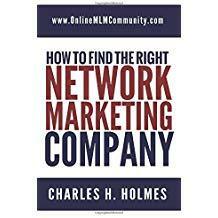 Tom Mower had originally founded the successful MLM company Neways. Selling it, he set out with his son, Tom Mower Jr. to provide another company that could help mend some of the health and financial problems for their fellow humans. Using scientific methods, the Mowers founded Sisel International. With many wellness products, I have heard nothing but praise for the Sisel Kaffe. It will take a lot to knock Sisel International out of the top spot. There you have the top 10 MLM coffee companies. We love hearing all thoughts and opinions as long as they stay out of a warlike attitude… So share yours. Now I have to go… My coffee is brewing! Disclaimer: We are not affiliated with any of these MLM companies. This information is for educational purposes only and we receive no compensation for this review. Nice list! You do really great work with this website, your posts have been so helpful and encouraging! Organo Gold operates in over 50 countries by the way, not 2 as you stated. The 55th country (South Africa) opens October 6th, 2018. Amazing achievement for a 10-year-old company!